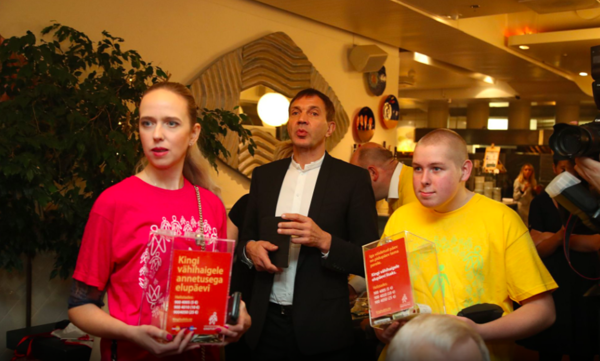 Volunteers of the Gift of Life cancer treatment foundation visited the celebrations of eight parties and election coalitions in Tallinn in the evening of Election Day, where politicians donated nearly €3000 for cancer patients. 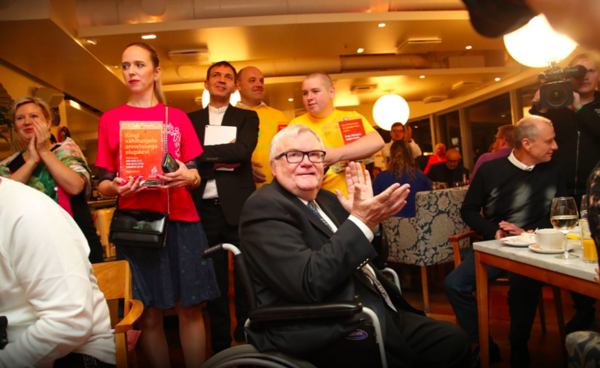 "We visited the celebrations of the Centre Party, Reform Party, Social Democrats, Estonian Greens, Estonian Conservative People's Party, Pro Patria and Res Publica Union, Savisaar Election Coalition and Active Tallinn, and Free Tallinn Citizen with our volunteers," said Toivo Tänavsuu, the head of the Gift of Life foundation. "Everywhere we grabbed a mic, gave everyone our regards and declared every politician a winner, as the winner is not the one who comes to power, but the one who supports their fellow people in need." "Everywhere we invited both the old-timers and the novices in the field of politics to warm their hearts and donate for cancer patients to give them hope and a longer life," said Toivo Tänavsuu. "Thus we raised funds like a band of Robin Hoods. Be it liberals, centrists, nationalists or whoever – cancer patients received a full mandate and support everywhere. The atmosphere of unity and agreement was fantastic!" The Gift of Life cancer treatment foundation has supported more than 75 people in Estonia in 2017 and funded nearly 750,000 euros' worth of treatment.